If The Union Wants My Dues Then Here Is My Checklist. Now that the Supreme Court has ruled on Janus and the unions must require members to formally "opt in", if they wan to pay dues. 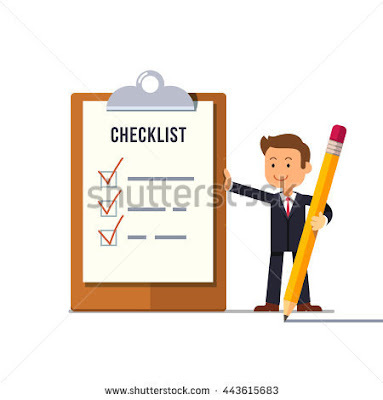 Therefore, here is my checklist to the union leadership they must satisfy if they want me to "opt in". Run a media campaign on how destructive Fair Student Funding is to students who must suffer from a high turnover rate of inexperienced teachers. 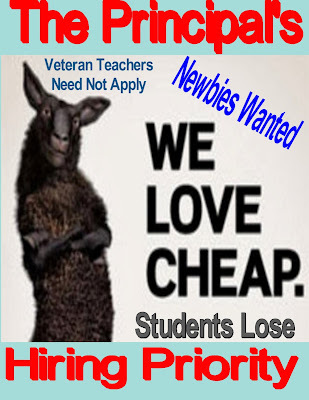 Push to bring back unit hiring and have all vacancies filled by excessed teachers in the District before any "newbie" can be hired. Eliminate the punitive Charlotte Danielson rubric that is used as a weapon by vindictive principal. Negotiate with the DOE for two observations. Be pro-active and publicize the issues with incompetent and/or vindictive administrators. A commitment not to accept any more "givebacks" in future contracts. Push to eliminate the ATR Supervisors. Canvas members before supporting and funding other organizations. Bring real democracy and transparency to the union. Other teachers may have different ideas on how to improve and make our union leadership more accountable to the members but this is my checklist. The City And DC37 Agree To A New Contract. The City and DC37 have agreed to a new 44 month (3.67 years) contract that includes a 7.4% raise for the length of the contract. That equals to an equivalent of a 2% annual raise (inflation is estimated to be 3% during this time period). The annual raise is about what I expected. However, it appears the Municipal unions will be giving the City more health care "givebacks" by saving the City $1.5 billion dollars. This contract with DC37, the largest municipal union means that a "pattern" has been established and we can expect a similar raise for the UFT. Unlike the UFT, DC37 is getting family leave , not parental leave like the UFT obtained. That is similar to what UUP received and didn't have to give back 73 days to achieve their 2% annual raises. You can read the New York Daily News and New York Post articles Here and Here. Will Chancellor Richard Carranza Clean House At Tweed? Chancellor Richard Carranza was appointed in April and will be in office for five months. Time enough to get a feel of the New York City school system and more importantly, the abilities of the top administrators at Tweed. Hopefully, the new Chancellor will "clean house" and erase the Bloomberg ideology that permeates the DOE. Something that Carmen Farina failed to do as Chancellor. 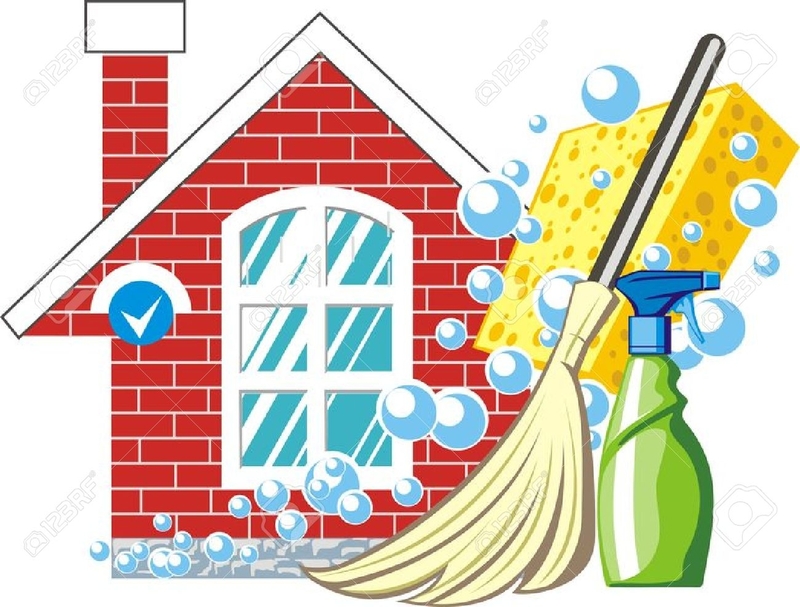 In the Newark schools the new Superintendent decided to "clean house" by removing 31 top administrators so that he could change the ideology of the Board of Education which was run by the State and by Joel Klein proteges, Cami Anderson and Christopher Cert. Many of the top administrators under the previous administration were "outsiders" who were sympathetic to education reform. You can read it Here. 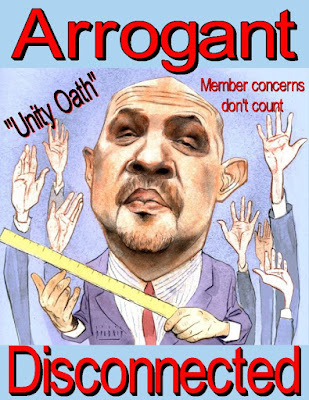 Let's hope that Chancellor Richard Carranza follows the example of the Newark Superintendent, Roger Leon and not Carmen Farina who failed to "clean house" and allowed the anti-teacher Bloomberg ideology to continue under her tenure. NYSED Continues To Make It Easier To Pass The Algebra 1 Regents Exam. When does a 30% correct response equals a 65% passing rate? Only in New York State. 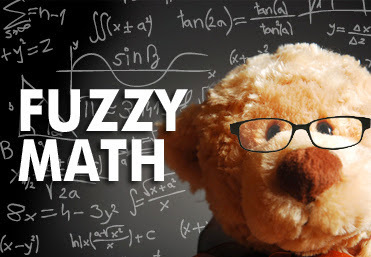 It seems that every year the New York State Education Department (NYSED) reduces the cut scores so that more students can pass the Algebra 1 Regents. This year NYSED reduced the amount of answers a student needs to answer correctly to 26 out of 86 questions, that comes out to a 30% rate. The lowest since the State has been using this version of the Algebra 1 Regents exam. The reason for the NYSED's lowering the cut scores is to achieve a minimum passing rate in the Algebra 1 Regents. Not that the exam was made harder but because the State is under pressure to reduce the academic/racial achievement gap and to increase the graduation rate. Therefore, the NYSED must increase the curve to a point where educators question the academic merit of the Algebra 1 Regents exam's minimum passing rate. Here are the cut scores necessary to achieve a minimum passing rate from 2014, when the present day Algebra 1 Regents exam was introduced to New York State students. For every 1 point drop in the cut scores, it's estimated that an additional 10% of students will attain the minimum passing grade of 65%. That means since the Algebra 1 Regents exam was changed in 2014, approximately 50% more students passed the test. You can read more about this in the New York Post. You can also read my post last year on the lowered cut scores Here. Fair Student Funding And Our Union. Over the years I was told by union officials that they had no say on the DOE's use of school based fair student funding. While that is true the fair student funding would never have been implemented had our union President, Randi Weingarten, had not agreed to eliminate the seniority transfer and bumping provisions in the infamous 2005 contract. School based fair student funding discriminates against veteran teachers, especially senior teachers. 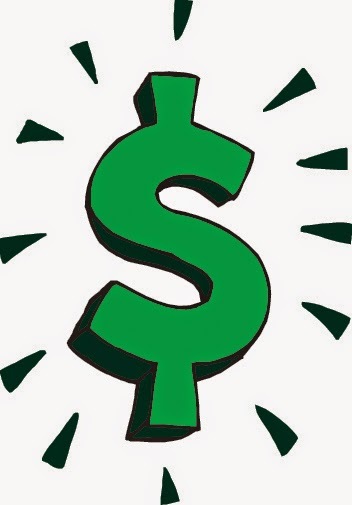 Since the school budget is based on the school demographics and principals are more inclined to hire inexpensive staff, in particular, teachers. The DOE gave principals total control of the hiring process as a result of the 2005 contract so they "hired the cheapest and not the best teachers" for their school. Moreover, since the union agreed to eliminate seniority transfer and bumping, this allowed the DOE to follow through on their plan to change the hiring process. Did the union know this would result in the ATR crisis? The answer is yes. Just read my post of October 17, 2017 and the UFT report of June 2008 clearly shows the union warned the DOE that the new contract will result in an explosion of ATRs and discriminate against senior teachers. Yet the union still signed the infamous 2005 contract. The bottom line the union leadership under President Randi Weingaarten knew full well the consequences of signing the infamous 2005 contract but signed it anyway. More Givebacks By The UFT On Parental Leave. UFT President Michael Mulgrew loudly proclaimed victory in negotiating with the City on parental leave. At first glance, it does not seem to contain "givebacks" but on further analysis there is a "giveback". The union agreed to extend the existing contract 73 days, from November 30, 1918 to February 11th, 2019. That means when you add the 16 days delayed for the final 3% raise we gave up to fund the massive retirements in 2014, that means our existing contract was actually 10% for 7.25 years or annual raises of only 1.38%! The union leadership and their acolytes will claim that there are no "givebacks" but to me, raises delayed and the extension of an existing contract is a "giveback". Moreover, it only pertains to parental leave (affecting 1.2% of the teachers) not the more expansive family leave that allows members to take for caring of a sick relative, a plan that would allow all members to benefit, not just a select segment of the membership. Compare our union leadership's negotiation with the one public worker union, the United University Professionals (UUP) who negotiated a family leave plan in their new contract. Here. If you read the article you will find that the UUP negotiated up to 10 weeks of family leave and that will increase to twelve weeks by 2021. More importantly, there were no "givebacks" and in fact, thee were enhancements. So let the UFT declare victory but now you know the truth. Read David Irons' analysis on the ICE blog. Moreover, the New York Post Editorial Board praised the plan, enough said. Courts Throw Out Charter Schools Weakened Teacher Certifiction Plan. A New York State court ruled that the Success Academy Teacher Certification requirements would result in inexperienced and unqualified teachers to be in the classroom and enjoined the charter network to proceed with their teacher evaluation plan for next year. The reason that the carter network wanted the weakened teacher certification plan was their inability to recruit and retain state certified teachers. High teacher turnover is a major problem for charter schools as long hours, lack of "due process" and inferior benefits make teachers leave for the public schools. 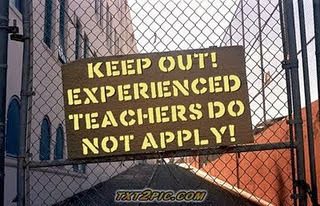 Moreover, the charter schools have a difficult job in recruiting certified teachers in the first place. 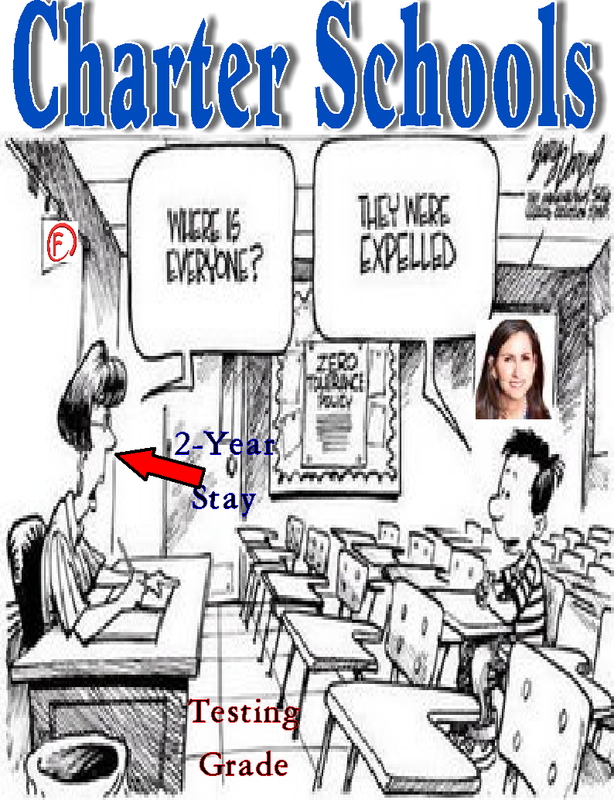 Presently, only 15% of the teaching staff in charter schools can be uncertified, and the charter schools have a difficult time attracing certified teachers and that's why the charter schools wanted the weakened teacher certification system. There seems to be a small shift on how the DOE are handling principals who are acting badly under the new Chancellor, Richard, Carranza. Fist it was Howard Kwait, who was removed by the Chancellor from John Bowne High School in Queens and now it's Steven Dorcely of Urban Action Academy in the Carnarsie campus in Brooklyn who was removed due to sexual harassment of female subordinates. Interestingly, Mr. Dorcely, a Leadership Academy Principal, was first in the news back in July of 2016 due to Regents cheating, cyber bullying, and poor academics. You can read it Here. The other Principal in the news is the Principal of troubled DeWitt Clinton High School in the Bronx who has been accused of passing students who never attended class by giving them a "quickie mastery packet" which they can do at home. The Principal, Pierre Orbe, has apparently didn't learn from the previous Principal who was removed for similar abuses. Will the DOE also removed Mr. Orbe? Only time will tell. While I see the DOE taking Principal abuses more seriously. there still is a "double standard" on how teachers are treated compared to administrators and that must end. Let's see what the Chancellor does with the infamous Namita Dwarka of William Cullen Bryant High School in Queens. Bill De Blasio's Blunder On Specialized High School Admissions. Mayor Bill de Blasio's ill advised proposal on how to achieve some semblance of diversify has stirred up a backlash, mainly by East Asian parents and their political allies. In addition, the Republican controlled State Senate has splashed cold water on the Mayor's plan to diversify the three Specialized High Schools which are Brooklyn Tech, Bronx High School of Science, and Stuyvesant. The Mayor's plan would set aside 20% for low income students and he would scrap the Specialized school test altogether and allow the top academic students of every middle school in the City to be given a seat, based on their school grades and the State test scores. There are major problems with the Mayor's approach. First and foremost, .the Mayor's plan will allow for every student accepted by the school, another, more deserving student will be rejected. His "robbing Peter to pay Paul" is not only discriminating against higher academic students but ignores the mission of the specialized schools, to nurture the top students in the City and provide a college like curriculum and atmosphere. Second, if the Mayor's proposal is implemented, that would set aside seats in the specialized high schools based on middle school grades, which is subjective and subject to grade inflation. Then what happens when those students who were accepted but cannot handle the tough academic environment of the specialized schools? Will the Mayor allow them to transfer out or pressure the specialized schools to dumb down the curriculum? My guess is the later. Third, the Mayor's plan to use the State competency test is a poor replacement for the significantly harder specialized school test which is based upon selecting the top academic talent in the City. Finally, the Mayor's plan discriminates against the high achieving Asian community and to a lesser degree, the White neighborhoods. Moreover, it also discriminates against the middle class community's middle schools, which have more high academic achieving students than the City as a whole. Finally, under the Mayor's plan the specialized schools will no longer be elite. My plan would be to provide free or low cost test prep for all middle school students who have ambitions to be accepted to the specialized high schools and pay for it by one or more of the following. Take it from the City's budget surplus. Eliminate the ATR pool and the $136 million it costs by placing ATRs into vacancies before schools can hire new teachers. Furthermore, we need to reduce class sizes and eliminate Fair Student Funding so that the middle schools can have experienced teachers instead of the steady turnover of "newbies". which hurt student academic achievement. Finally, the City must improve both the administrative leadership and teacher quality at the middle schools which is the weakest link of the NYC public schools. The ATR Pool Attacked Once Again. This Time By The Citizen's Budget Commission. The nonpartisan and anti-teacher Citizen's Budget Commission (CBC) in an error filed analysis blasted the City and the UFT that allows teachers to remain in the ATR pool indefinitely. According to the CBC report, the ATR pool costs the DOE $136 million dollars in the school year Their solution? Give the ATRs a six month time limit. While I do not question the number, I do question the CBC's motives and their lack of exploring the real cause of the ATR pool.. In the next few months the City will be negotiating with the unions, including the UFT. The City will most certainly ask for an ATR time limit as they have done since the creation oif the ATR pool. Just as certain, the UFT will reject an ATR time limit, reminding the City of the deal that was made between DOE's Chancellor Joel Klein and UFT President, Randi Weingarten that allowed principals to hire whom they pleased while excessing veteran teachers into the ATR pool. Part of the sleazy DOE-UFT agreement was that there would not be a time limit for excessed teachers who enter the ATR pool. From the day the infamous 2005 contract was signed, Chancellor Joel Klein has tried to get the UFT to agree to an ATR time limit and has pushed the media to write articles that condemn the ATR pool. From the Liberal New York Times to the Reformy Chalkbeat, to the Conservative Wall Street Journal and New York Post, all the media demonizes the ATR pool. Since Joel Klein left the DOE the three other Chancellors have also pushed fir a time limit and to the union's credit, they point out that the time limit is non-negotiable since it was part of the new hiring process agreed to by both parties in 2005. Moreover, if the union was to accept an ATR time limit, the other municipal unions would loudly object and probably sue as a violation of the Civil Service law since it would set a slippery slope of diminished worker "due process" as all unions under "collective bargaining" would be forced to accept having excessed members who no longer can bump less senior members out of their job and with an arbitrary time limit can be fired. The CBC's report fails to discuss the real culprit of the ATR pool,which is Fair Student Funding that penalizes principals who hire veteran teachers and incentivizes schools to "hire the cheapest and not the best teachers" for their school. It's too bad that the CBC report failed to address the deeper issues like school based fair student funding, large class sizes, poor leadership, and tight school budgets as the real causes of academic underachievement. 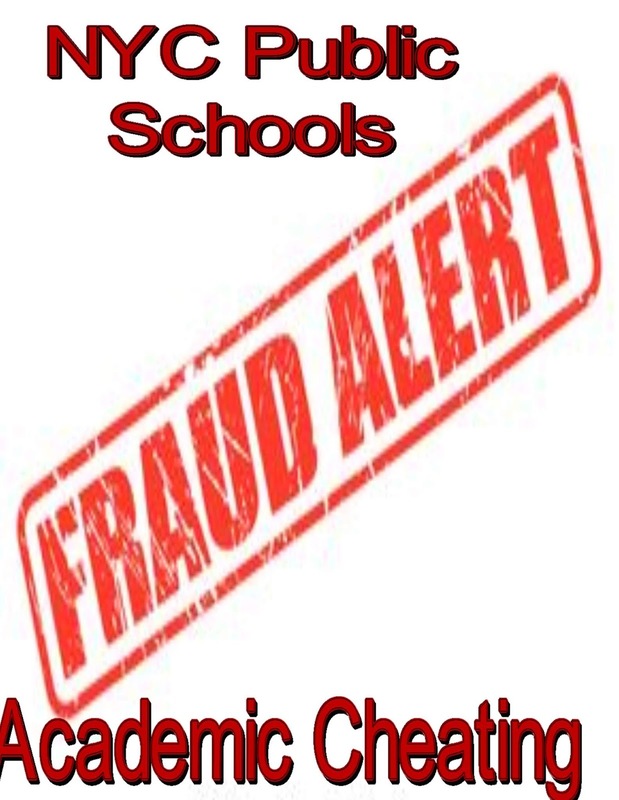 Academic Fraud Is Common In The New York City Public Schools. I have written previously that academic fraud is quite common in the New York City public school system. Be it bogus credit recovery, scholarship, changing grades, or administrative pressure, academic fraud is ignored by the DOE. In today's New York Post there is an article dealing with the academic fraud issue and the newspaper brings up one example that shows how OSI substantiated the test cheating but since the teacher was a favorite of the Principal and Superintendent, instead of the DOE filing 3020-a charges, the teacher merely ended up with a counseling memo. Apparently the New York Post will be covering the academic fraud issue this week, I can only laugh that the newspaper never addressed the issue under Bloomberg or read Susan Edelman's articles most every Sunday. The funnest quote from today's article is by a DOE spokesman who said the following. “We treat academic misconduct seriously and take immediate disciplinary action as necessary. We have created an academic integrity task force to enhance training and support to ensure our policies are followed,” said department spokesman Doug Cohen. 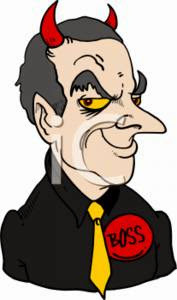 The DOE claims that they have zero tolerance for academic misconduct and that is probably true for most teachers but when it comes to administrators and their favorite teachers, the DOE seems to look the other way. The double standard continues no matter who the Chancellor is. Here are two other examples. Here and Here. Only 22% Of First Grade Students Survived Success Academy To Graduate With A High School Diploma. If you relied only on the New York City newspapers one would think that Eva Moskiwitz's Success Academy Charter Schools are a success. The truth is that for every student that started in first grade eleven years ago, over three left the school due to various reasons. In the first graduating class 16 students graduated out of 73 first graders. That is a measly 22% graduation rate. What happened to the 78% that left Success Academy? I venture to guess that the majority of students left, as the school counseled them out. Many students who academically struggled were probably threatened to repeat the grade and behaviorally challenged students were simply kicked out of the school. Others wearied of the intense academic pressure, including summer homework and having few, if any extracurricular activities that makes school a pleasant experience. Regardless, the "drill and kill" culture of Success Academy Charter School is not for most students and if your child is an English Language Learner or self contained Special Education student, then Eva Moskowitz's Success Academy would counsel you that the public school is a more appropriate environment for your child. Paid Family Leave Starts Next Year For The United University Professionals, The First Publi Sector Union To Negotiate It In Their Contract. The first paid family leave contract was negotiated by the United University Professional (UUP), which included a 2% annual raise for the six years of the contract. The paid family leave negotiated by the union is more generous than the State's paid family leave for businesses. 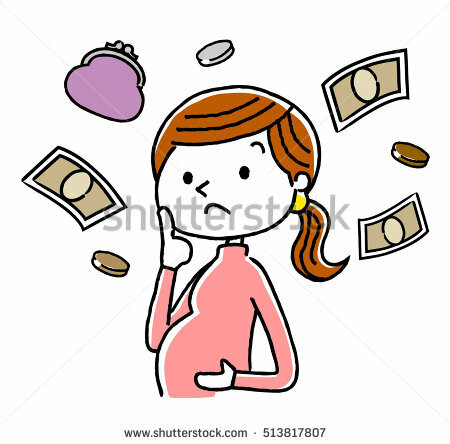 The State required paid family leave consists of up to eight weeks and the employee gets 50% of his or her average weekly wage which is capped at $652.96, whichever is less. The $652.96 value is 50% of the State's average weekly wage. The State plan is fully funded by payroll deductions equal to 0.126% of an employee's weekly wage. The maximum annual contribution is capped at $85.56 for this year. The UUP negotiated family leave contract is more generous. UUP members will receive 55% of their weekly wages up to ten weeks of paid leave, starting in July of 2019. This will increase to 67% of the employee's average weekly wage and 12 weeks of paid family leave by July of 2021. The paid family benefit and salary increases, along with minor improvements for adjunct professors who, for pension purposes, work at the universality will now count as a full day instead of the hours worked,. the contract was negotiated without the union giving any concessions or deductions..
Hopefully, our union can learn from the UUP contract and at least negotiate a similar family leave contract and a 2% annual raise without any "givebacks". This should be the minimum our union should accept from the City. 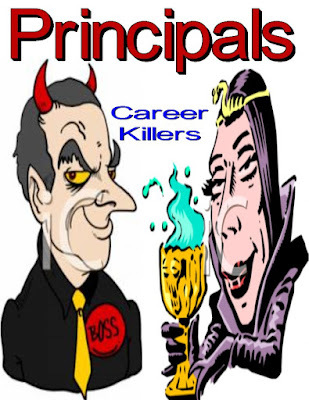 My Response To The New Tork Times Biased Article On Principal Removals. I read and reread the New York Times article on how three principals were removed and quickly realized that the entire article was based only on the principals side of their reassignment. The article was clearly biased as no teacher or Chapter Leader were interviewed, only the three principals and their supporters. Occasionally, in the article they did get a quote from UFT President, Michael Mulgrew, but the reporter did not bother to interview any staff members who were involved in the complaints. The three principals were Santiago Taveras, Kathleen Elvis, and Nadav Zeimer. All of whom violated the Chancellor's regulations and most importantly were universally hated by the teaching staffs and were considered career killers. All were removed and rightly so. Unlike teachers, they still kept their salary and work in field offices. In Santiago Taveras,when he was Deputy Chancellor under Bloomberg he was responsible for closing of the many large comprehensive high schools and earned the ire of the teachers union. As Principal of DeWitt Clinton High School he was caught changing grades and built an illegal personal shower that the DOE had to dismantle. Moreover, he was despised by the staff and targeted veteran teachers. Then there is Kathleen Elvin who created the "Easy Pass" credit recovery system that jacked up the graduation rate. Further, she also targeted veteran teachers and was one of the lowest rated principals when it came to the survey. Further, she was only exonerated by the arbitrator because the DOE refused to give the lawyers the evidence that the higher ups were complicit by approving the "easy pass" program. Please read the New York Post's Editorial. Nadav Zeimer, a Leadership Academy Principal, filed false and fraudulent charges against a teacher who was found totally innocent by an independent arbitrator. The teacher was returned to the school and started to document the various violations the Principal did. Eventually both SCI and OSI investigated and substantiated the violations. Here again the Principal was disliked by the staff. An example was when the teaching staff were forced to sit through useless professional development while Mr. Zeimer took his favorite administrators to a notorious bathhouse. on school time. The bottom line is that if you're a Principal and fail to cooperate and collaborate with your teaching staff and violate Chancellor Regulations, you deserve to be removed. 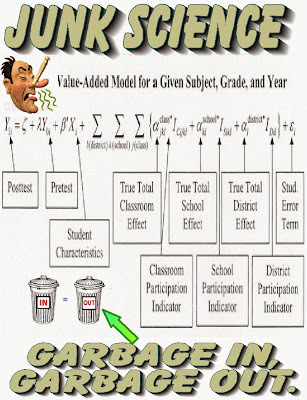 The Teacher Evaluation System Should be Eliminated. I have watched with amusement how our Governor, Andrew Cuomo has made a 180 degree pivot on linking test scores to teacher evaluations. First, he demanded that at least 20% of a teacher's evaluation should be linked to a student's growth score based upon high stakes Common Core tests. When the results showed that.only 1% of the teachers were rated "ineffective", he demanded a more onerous evaluation.The Governor pushed the State to make Common Core based high stakes testing to be 50% of a teacher's evaluation , based on student growth. It seemed that the Governor won the battle but it soon became apparent that he was losing the war in the teacher evaluation system that he was trying to impose. First, was the parent led "opt out" movement that saw mostly middle class suburban families "opt out" their child from taking the Common Core tests. 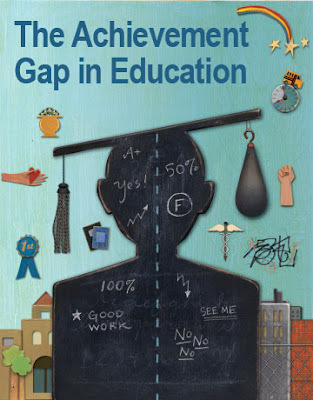 On Long Island over 50% of the students opted out and 40% upstate chose not to take the tests. While some claimed the teacher unions were responsible in convincing parents to "opt out". The truth is most teacher unions remained silent and when they did recommend that their students should "opt out", the percentage of students opting out skyrocketed to 75% or higher. The two most powerful teacher unions NYSUT and the UFT had no position on the "opt out" movement, had they supported the parents you would have seen a much higher "opt out" percentage Statewide. Next. 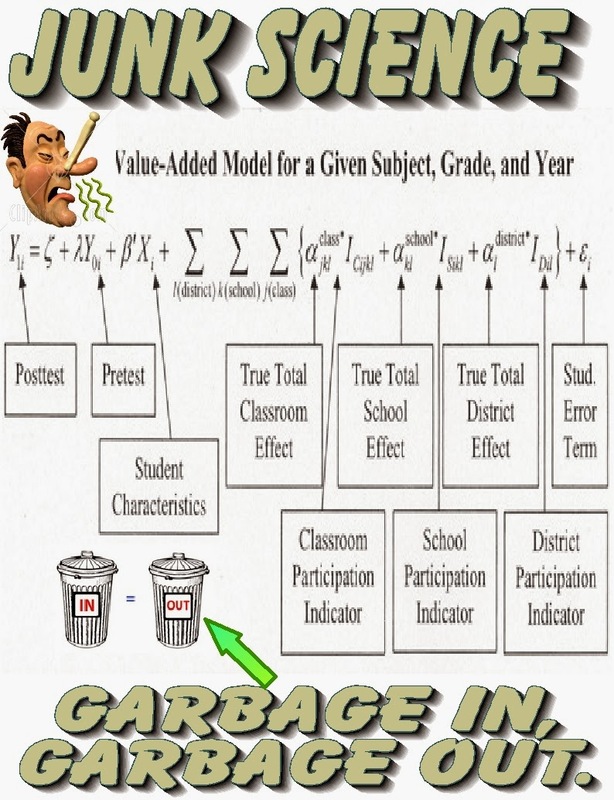 a lawsuit filed by a teacher on the validation of the "growth factor" used in the teacher evaluation system, was successful and the judge ruled the "growth factor" was "junk Science". 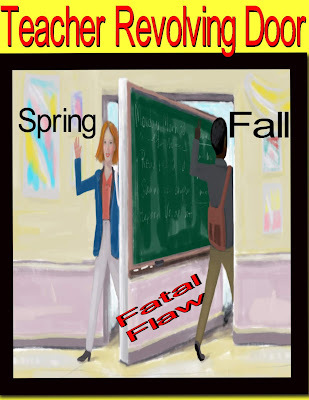 This growth algorithm was on trial in the Sheri G. Linderman case and the ruling is the death kneel of linking student growth to a teacher's-evaluation score. When it came to public opinion, the Governor soon realized that supporting an unpopular teacher evaluation system and the dispersed Common Core tests his approval ratings were sinking and since their was no more federal money from the Obama Administration to bribe the Governor in supporting Obama's education reform goals, Governor Andrew Cuomo made his 180 degree pivot and supported a four year moratorium on linking Common Core tests to the teacher evaluation system. No longer is the Governor bashing teachers and their union, instead he now supports them as he wants another term as Governor and looking ahead to run for President. While teachers no longer need to worry about the use of the high stakes testing being linked to their evaluation, except for the high schools, the other parts of the teacher evaluation system stays in place. If you get three consecutive "ineffectives" you are automatically sent into a 3020-a termination hearing. and a school district can send a teacher who receives two consecutive "ineffectives" can also be sent into a 3020-a termination hearing. While this is not much different from what existed before, the difference is that the "burden of proof" is on the teacher to prove their innocence where the "burden of proof" was on the school district to prove the teacher's guilt. Moreover, it now takes four years to obtain tenure, not three. Finally, in NYC the teacher evaluation system requires four observations, using the terrible Danielson rubric, not two like the rest of the State. Let's get rid of the teacher evaluation system and come up with a fair and teacher approved evaluation system and don't believe what you read by the newspaper's editorial boards. The DOE Refuses To Fund 41 Schools So They Can Hire A Full Time Guidance Counselor. Chancellor Carranza must step in and take action to rid the bloated Central Bureaucracy of the Bloomberg/Klein ideology that shortchanges public schools with near recession budgets (90% of their fair funding) while even the City Comptroller has questioned why the DOE spends 24% of their budget on administrative functions? In these 41 public schools, many students need social services that only a certified Guidance Counselor or Social Worker can provide. Not having a full-time Guidance Counselor or Social Worker is almost criminal. Yet the Bloomberg era administrators that allocate funds and make policy believe that if a school cannot provide professional services with their tight budget then it's the school's problem and not the DOE's. I hope that Chancellor Carranza does what Carmen Farina did not do and that is to "clean house". Otherwise, schools will continue to be starved for funds while the DOE, flush with cash, will continue to spend money on their administrative overhead. "Children Last"....Always..